The Balangao, also known as Boliwons were the early settlers of the Eastern Mountain Province in central Cordillera. 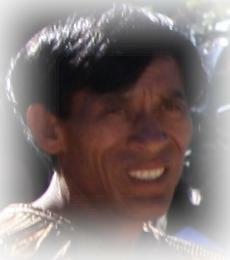 Concentrations of this ethnolinguistic group are found in the towns of Barlig, Natonin, and Paracelis. According to the tribe's oral historians, the Gaddangs of Cagayan fled to the mountains in the 17th century, soon after their defeat at the hands of Spanish colonists. Furthermore, intermarriage and cultural blending between the Gaddangs and the original natives of the slopes and riverbanks eventually produced the Balangao tribe. Speakers converse a Farangao language, which has a dominant “ch”, “r”, and “f” intonation, similar to that of the Bontocs. Likewise, the Balangao dialect is also used by other nearby tribes whose own languages are interrelated to Farangao. Most Balangaos practice wet terrace farming, planting rice and root crops such as taro, yam, and sweet potato. Additionally, they're skilled in bamboo and rattan crafts, as well as, weaving and blacksmithing. Though their culture reflects the Cordillera, it is more reminiscent to the Kalinga, such as their architecture. Balangaos and their neighboring tribes share comparable physical features and characteristics, distinction lies in their beliefs, rituals, dances, and songs. Despite the fact that Christianity had already permeated the region, many indigenous customs prevail such as lifestyle, marriage, and the use of dormitories between the genders. Peralta, Jesus T. 2002. Glimpses: Peoples of the Philippines. National Commision for Culture and the Arts.